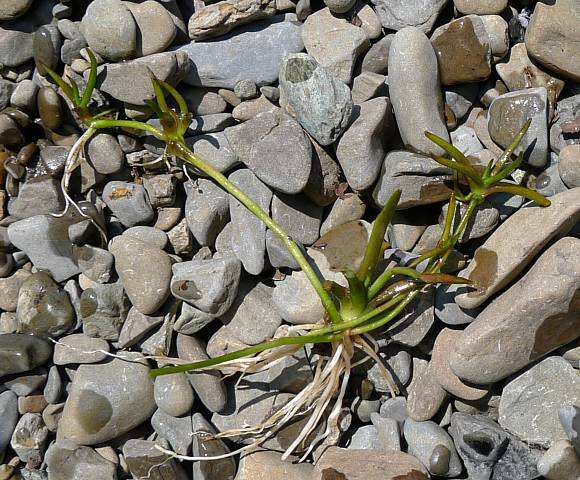 Grows on stony ground under-water on the shores of freshwater lakes in northern hilly districts. 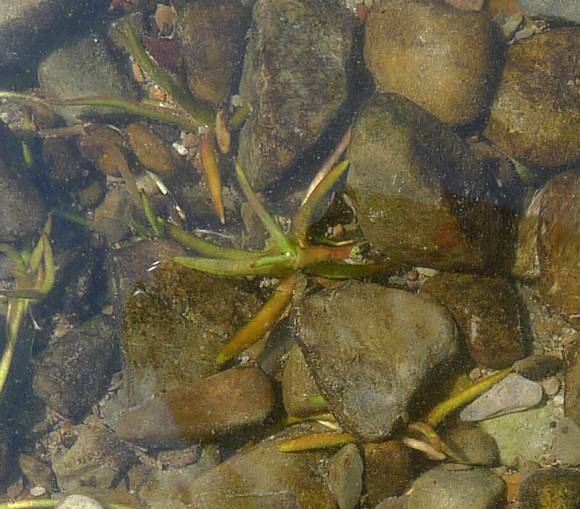 A short stubby plant that spreads by under-water runners. It does flower, but not until June when it bears a short spike sparsely populated with small white flowers, a most un-usual member of the Cabbage Family! 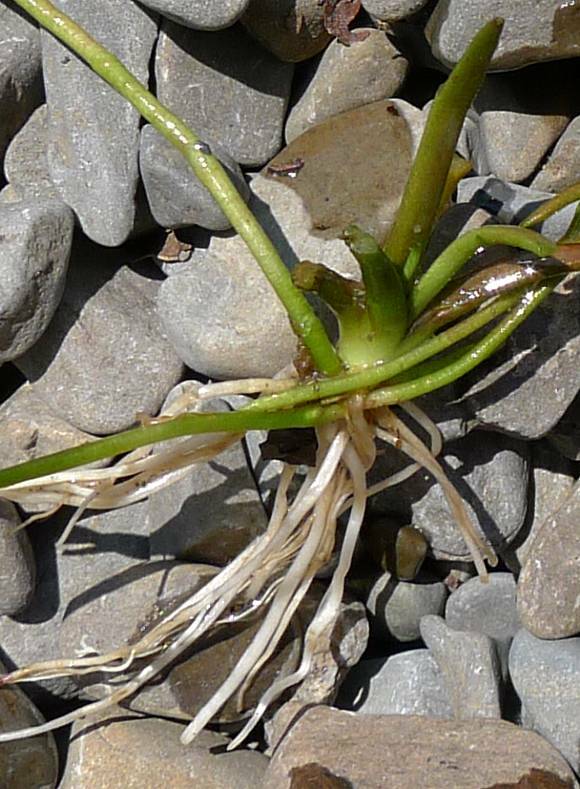 Up-rooted, the rooting runners are visible, as well as the white roots. One of the roots has entrapped another nodes runner. 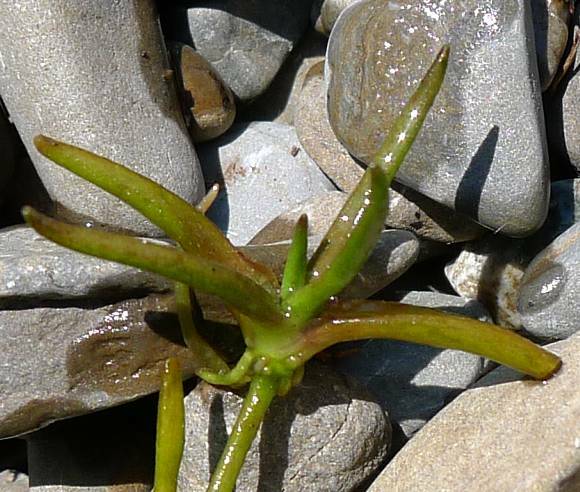 The spiky leaves are short and stubby, shorter than those of the similar Shore-weed (Littorella uniflora) and rounded rather than having a flat on one side as does Shore-weed . Easily mistaken for : Shore-weed (Littorella uniflora) see captions above. 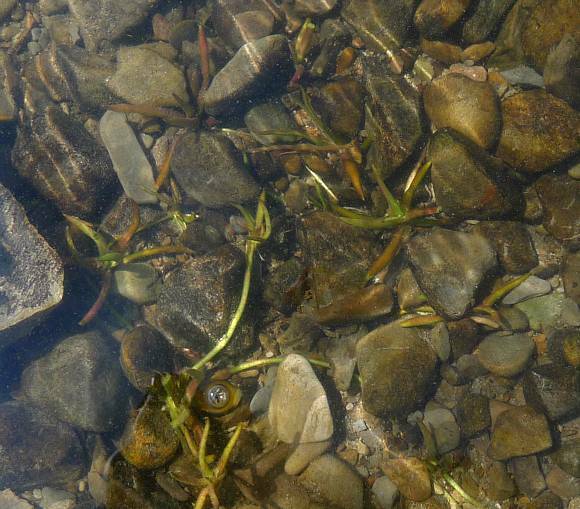 Some similarities to : Pipewort (Eriocaulon aquaticum) and Quillwort (Isoetes lacustris) which all grow near the edges of shallow freshwater lakes and to Mudwort (Limosella aquatica) and Welsh Mudwort (Limosella astralis) which both grow on mud. An atypical member of the Cabbage Family (Brassicaceae), it has small white flowers with four petals. 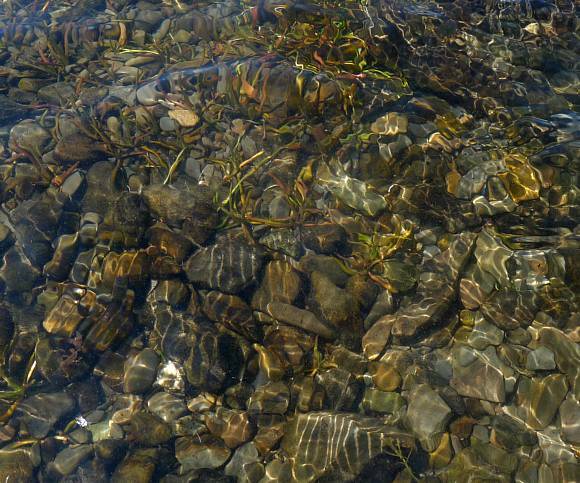 It grows in acidic areas on the shallow pebbly shores of fresh-water lakes and lochs.